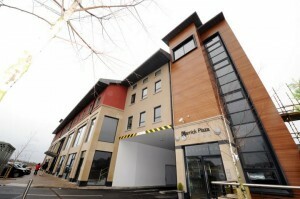 If you’re planning to hold a hen party at Carrick on Shannon, the perfect place for you is Carrick Plaza Suites! We have self-catering apartment suites that can accommodate up to 6 people and we also have a deluxe hotel suite that can sleep up to 4 people. We made sure that all your needs are covered, so staying with us will be a breeze. We have an on-screen guide listing and base directory of local amenities, lift access from the secure underground parking area to all floors, and wireless internet all throughout the building. Local convenience stores such as Tesco, Centra, and Super-Valu are just a stone’s throw away and you can also ask local restaurants to deliver meals to the suites. How’s that for an easy breezy accommodation? All rooms have a 40-inch flat screen TV with 25 HD channels and apartment suites have kitchens that are equipped with microwave oven, cooker, cutlery, crockery, fridge, toaster, and kettle. If you’re booking for a group of at least 10 people, then we can help organise the following as part of your stay with us: Private cinema screenings, Kilronan Castle and Spa special treatment packages, clay pigeon shooting, paintballing in Battlebridge Paintballing, river Shannon cruises, and a 3-course meal with a glass of wine and entry into the local nightclub. All transport during your stay will also be organised by us. 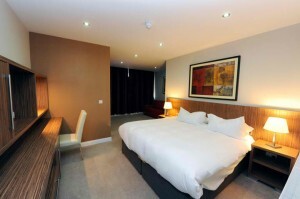 And… If you’re booking 20 people or more for 2 nights, then you get to stay for free.